We are considered in the industry to be one of the leading names of this wide assortment of Designer Boys Jeans at very affordable rates. 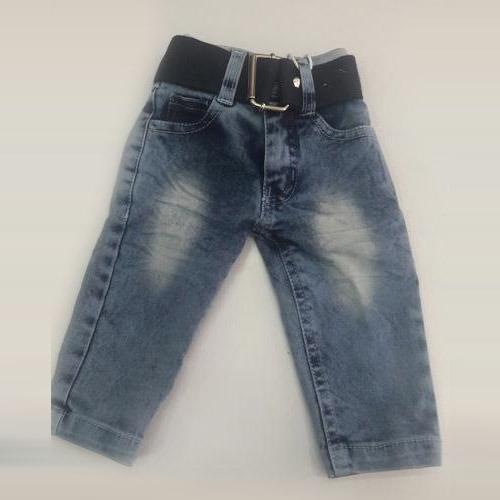 Incepted in the year 1996, Sahif Exports is an eminent business name readily affianced in manufacturing an exclusively fabricated assortment of Boys Pants, Boys T-Shirt, Boys Capri, Boys Jeans, Boys Shorts. Designed and fabricated in line with the industry defined quality guidelines, the fabrics used in their development are of top notch quality and are acquired from trusted sellers of the industry. To add, we guarantee that only hi-tech machinery, tools and techniques are utilized in the stitching procedure of this provided array of products.